Programs designed to change lives. The Okoboji Sailing Center offers a full range of sailing opportunities that allow our students of all ages to experience this lifelong activity no matter their interest or skills. 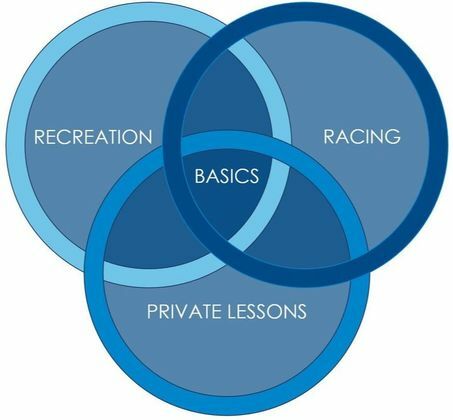 ​From individual private lessons to performance race teams, our curriculum is developed for any learner with a progression that builds on success. LUNCH​ Bring a lunch, watch sailing vids, and have treats! *Waivers and Releases must be signed by a Parent or an Assigned Guardian for all events. Come by for food, drink and fun! 6:00 - 8:30 GO SAIL! A Free Sail Program that is FREE for our sailing members. This Member Social will introduce our Club Members and their guests to all our new programming offered at the Okoboji Sailing Center. ​Enjoy food, beverages, while visiting our booths that describe what's going on at our the Okoboji Sailing Center. Check out our new Branded Merchandise and take some home! Our one-on-one caulk talk approach is an opportunity for our coaches to focus on each program and give specific commentary tailored to each team. This is done by meeting with each team and through an online portal where student athletes can login for weekly coach notes feedback and obtain lesson plans for improvement. NEW - OYC Partnerships with GO SAIL!